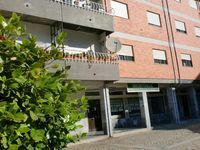 Properties in Catedral das Beiras average 4.6 out of 5 stars. Quinta da Lontra - 1 bedroom riverside apartment, sleeps 2. Property 6: Quinta da Lontra - 1 bedroom riverside apartment, sleeps 2. Quinta da Lontra - 2 bedroom riverside escape, sleeps 5. Property 22: Quinta da Lontra - 2 bedroom riverside escape, sleeps 5. Great apartment with all the conveniences of home. Only drawback was the washing machine not working properly but everything else was great. Will definitely stay here again.